Microsoft is trying to make the most of this flawed generation, but like the business veterans they are, they’re always focused on the long game. 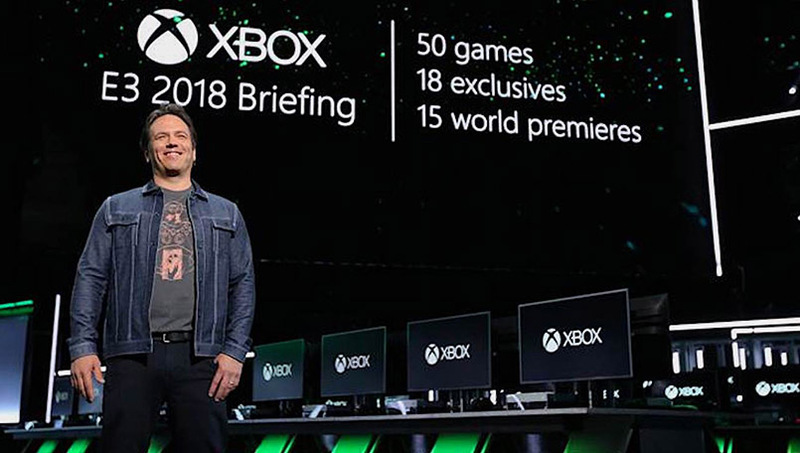 Teasing obvious new hardware and new studio acquisitions are significant, but what keeps me interested is the Xbox Game Pass. Even with how limited their first party offerings are, you get great value based on the $10/month price point. If I were any less into following the industry and the obscure games than I currently am, Game Pass would be my set it and forget it ticket to gaming. I’m rarely playing the new hotness. I’m now getting around to The Witcher 3 and the years old Resident Evil 1 remake is up next. These are games that I picked out at least a year ago. The point here is that Game Pass’ aged inventory is almost a non-issue to me, and a ton of people like me. I would’ve been stoked when they announced the arrival of Fallout 4, I’m still excited to check out New Vegas after all. Acquiring all of those new studios and committing their full effort to the Xbox platform is a big deal, but especially in regard to Xbox Game Pass. Playstation’s first party offerings are killing it, I still think about re-buying a PS4 to replay Bloodborne and God of War only makes it more tempting. Do I need to play through Bloodborne again? No. Is God of War worth a console purchase when I have a PC and a Switch already? Debatable. But they’re good enough to make you think about it. That is what every console maker wants and where Microsoft aims to be in the next few years with their new studios. Game Pass could make that come true with an outstanding value proposition. Microsoft and Nintendo teaming up to promote Minecraft is crazy interesting. Yes, they’re partnering to capitalize on Playstation’s current bad press, but it’s still relatively unprecedented in the current landscape. Phil Spencer is regularly documented saying that he doesn’t care what device you play Minecraft on, he just cares that you play Minecraft. With Microsoft already teasing the next generation of hardware and the near inevitability of a sort of streaming option for Xbox Game Pass in the future, what’re the chances of me streaming Fallout 4 on Xbox Game Pass to my Nintendo Switch Pro in four years when I finally get around to playing it? Crazier things have happened, maybe not in the games industry though. Let me know what you think of my farfetched ideas in the comments below and thanks for reading! Update: Nintendo just announced a Minecraft edition New 2DS XL today! That has to be a good sign for third party relations.